Used in the construction industry as a robust pulley system, the Gin Wheel provides a cost effective, safe handling system. 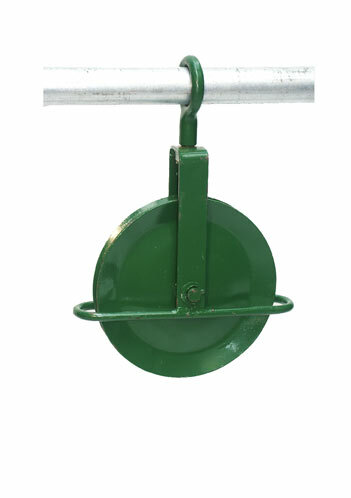 Gin Wheels consist of a self-lubricating pivot wheel for use with 19mm fall rope and is secured by a drop forged eyebolt that fits over a conventional scaffold tube. All Gin Wheels have a unique identification number which ties up with the in house test certificates which are issued with each Gin Wheel supplied. All SCP Gin Wheels are manufactured in accordance with ISO 9001:2000 quality system accreditation. Tested to four times safe working load.